Apple showcased its new MacBook Pro on Thursday and demonstrated the new Touch Bar, an OLED touchbar across the top of the keyboard that replaces the function keys. The Touch Bar can be customized to suit the app that your Mac is currently running. 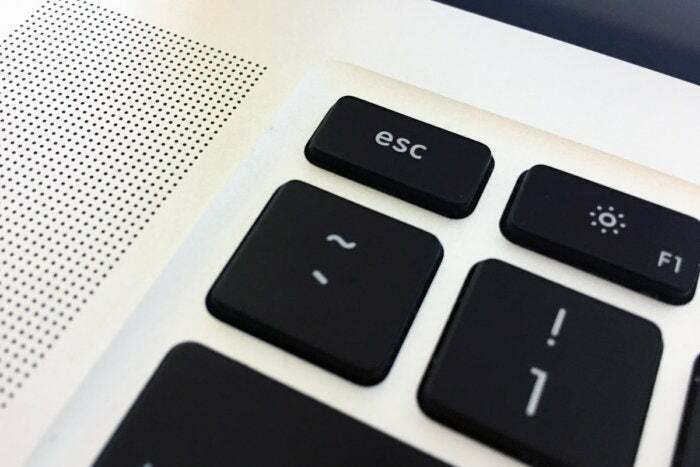 The problem is that you may not have instant access to one of the most important keys on your Mac: The Escape (esc) key. The esc key isn't completely gone. If the Touch Bar is in another mode, you can hold down the fn key on the lower left of the keyboard. That will make the function keys appear on the Touch Bar, and that includes an esc key. Maybe that's not good enough for you. Maybe you want a physical esc key you can access instantly. What you want to do is remap the Escape key to another key on your Mac. Here’s how. Go to Apple menu > System Preferences, and click on Keyboard. Click the Keyboard tab if it’s not active, and then click the Modifier Keys button on the lower right. In the pop-up window that appears, select your keyboard from the “Select keyboard” pop-up menu at the top. You’ll see a list of four keys: Caps Lock, Control, Option, and Command. You can reassign one of those keys to act as the Escape key. You may not want to select the Command key, since it’s frequently used for keyboard shortcuts. You may not want to use Control or Option, either, for the same reason. In my example, I’m reassigning the Caps Lock key to be my new Escape key. Pick a key you want to reassign, then click on the pop-up menu to the right of that key, Select Escape. 5. 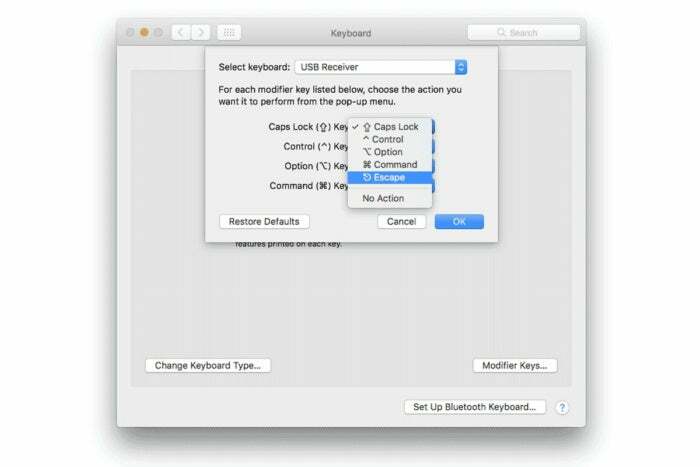 Click OK. You can also quit System Preferences.